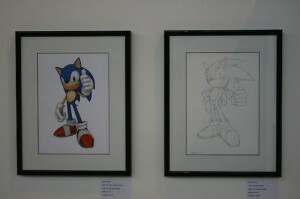 Looking for a real piece of Sonic the Hedgehog history to add to your collection? Then look no further! 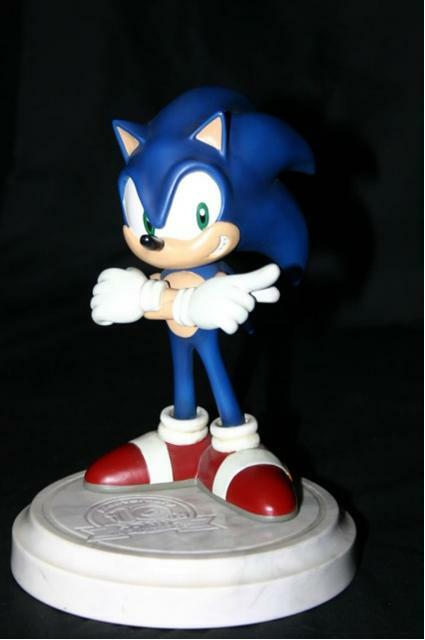 Currently up for auction on ebay are a couple of really unique items that will make any Sonic merch-mad fanatic salivate! eBay user, the-comic-crypt has put a rare Sonic comics up for auction in “Sonic the Hedgehog #0” and “#1,” which are the first full comic appearances of the blue blur. As of April 14th, the comics are going for around $30 combined and will be up until this Friday, April 17th. The-comic-crypt has assured potential buyers that the comics are in fantastic condition. If you’re a fan of the Sonic comics and do not own these two issues, I recommend placing a bid on ’em. Be prepared to spend somewhere in the mid-hundreds (in dollars) on each, as the-comic-crypt mentioned that his last auction of Sonic #1 finished at $141. Sonic’s Edusoft Selling on eBay? You might never have heard of this unreleased Master System title, but a supposedly ‘bona fide’ copy of Sonic’s Edusoft is on sale for $40 on auction website eBay. An edutainment game that was originally meant to capitalise on Sonic the Hedgehog’s Mega Drive release in 1991, Sonic’s Edusoft ended up not being released officially at all, according to information collected by fellow Wiki Sonic Retro. The developer, Tiertex, appeared on the SMS Power forums in 2007 to discuss the existence of the title. A ROM of the game is readily available from Retro. Which leads us to ponder whether this item from eBay is in fact genuine. It could be relatively easy to grab a ROM and dump it onto a Master System cartridge, given the know how. It could just as easily be a promotional copy, handed out internally before its release was cancelled. Either way, whoever decides to bid on this should probably air on the side of caution. We doubt that SEGA will confirm whether this is the real deal or not. Because it was an unofficially licensed game – and an unreleased one at that – we can only assume that the publisher will want to deny all existence of it, evidenced in mentions of Edusoft being removed from Wikipedia. How do you know when you’re getting a good deal? When someone offers an ultra-rare game on eBay! But wait! This isn’t any old rare game – this is Sonic the Hedgehog 4 for the Super Nintendo Entertainment System. In looking for eBay items involving weird Game Boy pirate games of old (Sonic 6, anyone? ), I came across this gem, sitting on a veritable sucker collector’s desk in Cheshire. In an attempt to either fleece a gullible Sonic fan or recoup some hard-earned cash he must have lost in buying this game himself (in being said gullible Sonic fan), the seller of this eBay item is asking for £170. Hm. Let’s weigh it all up. Good thing: You’ll own a real pirate Sonic game. Bad thing: You’ll own a real pirate Sonic game, minus 170 quid. But hey, the guy’s open to alternative offers, so go nuts. I tried to offer 25p to the guy (three times) and he refused (three times). I guess some people just don’t know the real worth of what they have in their home. You can be in with a chance to own a piece of Archie Sonic comic history, thanks to a rather nice seller and the power of eBay. The listing includes a copy of a six-page ‘Sonic the Hedgehog’ comic book that came included with the Mega CD system in the US. Worth pointing out that this isn’t just the first issue in the mainstream print run that began in 1993 – this is part of a mini-series that pre-dates that! Go here if you’re interested – good luck!